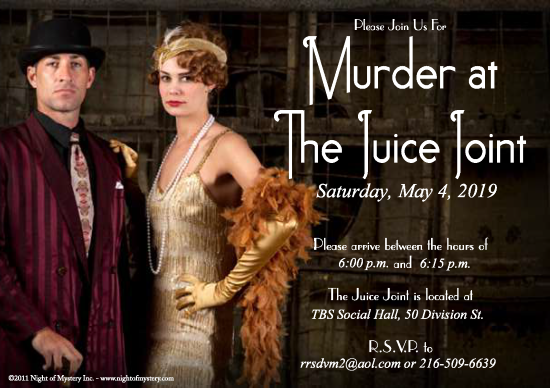 Bring your friends along for an exciting evening as everyone tries to solve “whodunit,” while enjoying a Roaring Twenties-themed dinner, Prohibition drinks, and delicious desserts. Donations accepted for the TBS Building Fund. RSVP by April 20 to Robin Rosen-Sharp at rrsdvm2@aol.com or 216-509-6639.